When six-year-old Kaycee Ramirez’s fever spiked at 103 degrees, her parents thought their little girl was just under the weather. But when Kaycee’s fever persisted and she developed frightening symptoms of bloodshot eyes, a body rash, and peeling skin, they knew she needed specialized medical care. Kawasaki disease is a rare pediatric illness causing inflammation in the walls of the body’s medium-sized arteries and is the leading cause of acquired heart disease in children. Once the disease strikes, there is only a 10-day window for treatment to save a child’s heart from coronary artery damage. Kaycee was immediately admitted to Marian Regional Medical Center’s Pediatric Unit on July 7, 2014, where she received lifesaving intravenous treatments. 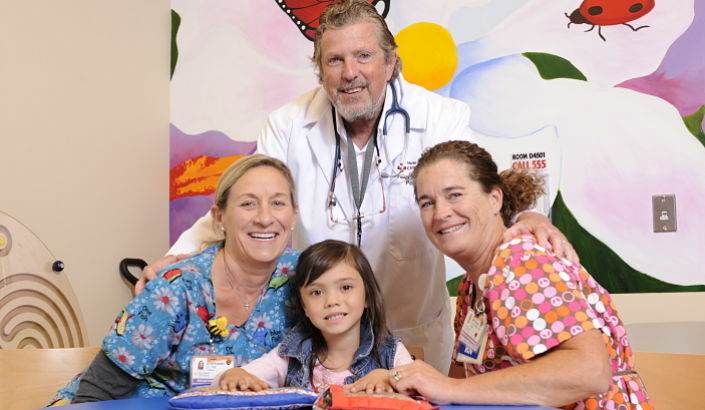 Fortunately for the Ramirez family, Kaycee and all Marian pediatric patients are provided with the highest level of advanced pediatric services all while remaining in their community, not separated from crucial support systems of family members and friends. Within just days of treatment Kaycee was back to her old self, allowing the family to proceed with their highly-anticipated Disneyland vacation three weeks later.